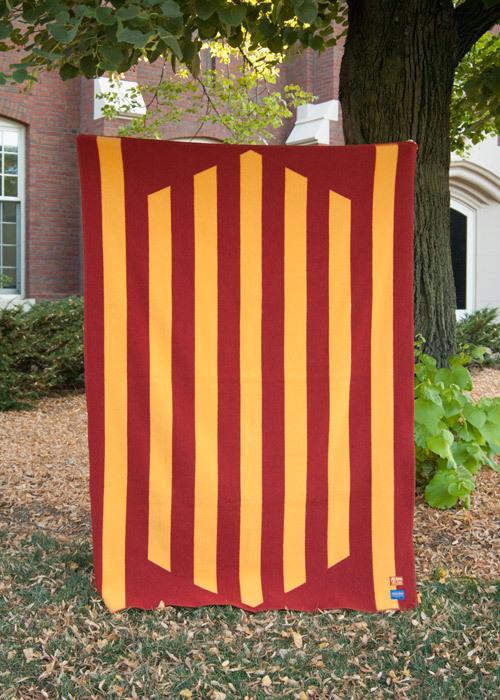 We do so many custom blankets over the course of any given year, but the blanket we’ve done for Kagavi has a particularly interesting backstory. The concept and design are woven together from college football lore and the personal history of Kagavi’s founder, Joshua Kagavi. 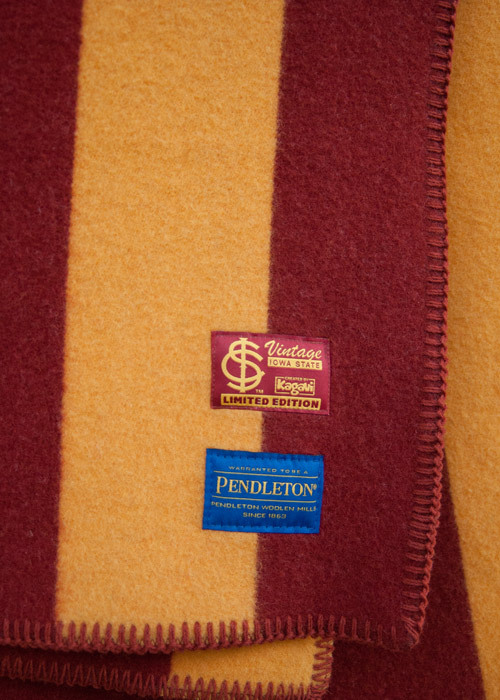 Using the earliest college football jerseys as inspirations, Joshua designed a blanket that celebrates the achievements of Jack Trice, “…a tall broad man with a soft smile who became Iowa State University’s first black athlete in 1922.” This is a fascinating tale, and you should read it here, in Josh’s words. Beautiful, yes? Napped for loft and warmth, blanket-stitched edges and Pendleton craftsmanship in a limited edition. For more information, you can go here. And go read the story. ← Love and Mercy – it’s a wrap!